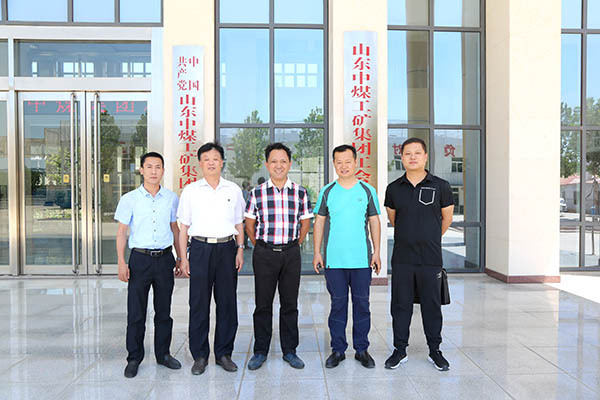 On May 13rd, handong Engineering Design Co., Ltd. Beijing Institute of Design Dean Wang Zhen, Luneng Group Minister Yu Qinglun visited the Jining High-tech Zone Binhe Science and Technology Park to inspect the investment environment and the party building work of non-public enterprises in the park. In the morning, under the leadership of the core team leader of the Party Construction Studio and the head of the investment promotion department of Binhe Science Park, Xie Hualiang, Dean Wang and Minister Yu Yuan came to China Transport. 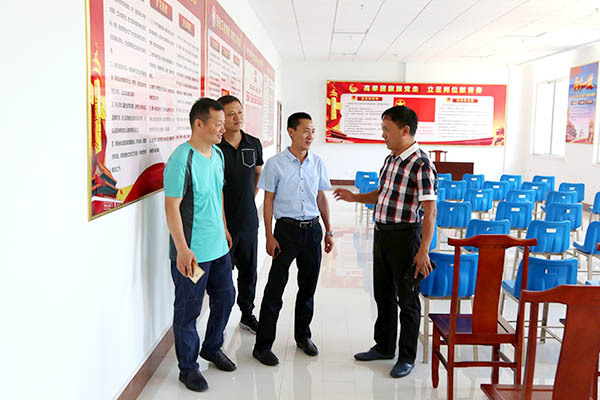 They visited the development of non-public enterprise party building work. The Party Secretary of the China Transport, Deputy General Manager Feng Zhenying, Deputy Secretary of Group Party Committee Guan Chenghui and other leaders accompanied the reception. 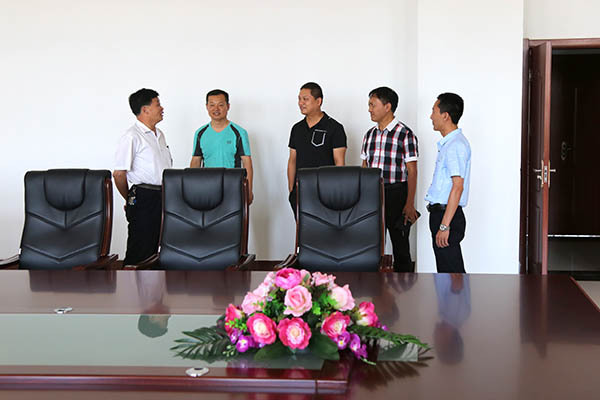 Leader of Party Building Studio Xie Hualiang and Dean Wang, Minister Yu accompanied by Secretary Feng visited China Transport Party Construction Center. During the visit, Deputy Secretary of Group Party Committee, Guan Chenghui, gave a detailed introduction to the various activities undertaken by China Coal since the establishment of the Party Committee. 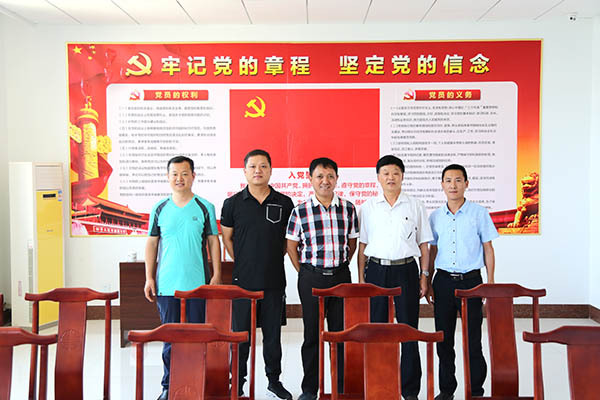 Since the establishment of the China Coal Party Committee, the team members have grasped the study of various political theory knowledge, carried out the “two studies and one action” and “three sessions and one lesson” systems regularly. They actively also organize the majority of party members to study and communicate the spirit of the party's Nineteenth Congress, carried out "Party Avantgarde Gang", "Party Responsibility Area", "I Offer a Policy for Enterprises," and "Do Not Forget the Beginning of the Heart with the Party to Create a Vanguard Gang of the Party Members" and other activities. These activities not only exerted the party members’ advanced nature and initiative, but also greatly improved the enthusiasm of the party members and employees and enhanced the cohesiveness, creativity, and combat effectiveness of the party organizations, the most important is cohesive force for the development of the entire staff, promoted the steady and healthy development of the Group's operations greatly. Through the visit, the achievements of our group in the party building work have been unanimously affirmed by leaders. Secretary Feng said that since the establishment of the China Transport Party Committee, the rich party building activities have virtually improved the group's soft power provided a strong political guarantee for the Group's healthy and rapid development. In the next step, according to the spirit of relevant documents of the central government, provinces and cities, China Transport Party Committee will translate the study and implementation of the spirit of the 19th National Congress of the Party into a powerful spiritual driving force for the reform and development of the Group, and strive to promote the development of the group to a new level!